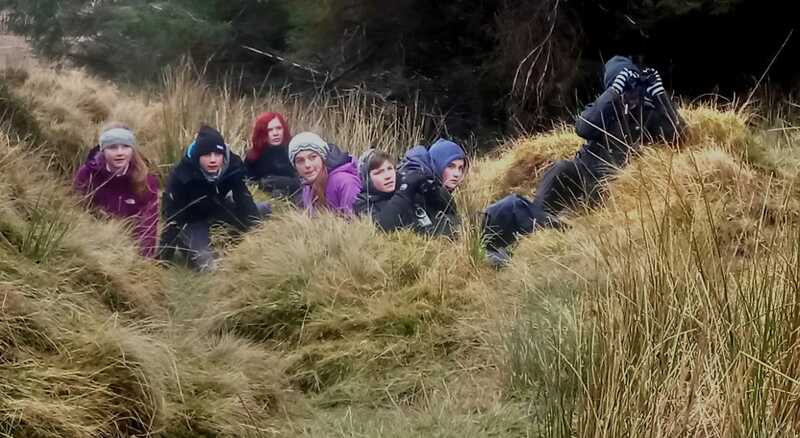 The day was cold and wet but 33 pupils from Ullapool High School S2 were on their hands and knees, and often their stomachs, crawling through the heather and bog! A small herd of red deer were munching happily on the hillside unaware of the approaching group of people. The pupils were not there to shoot the deer but to capture a photograph. The group were divided into four teams at four locations in Assynt. The team that came home with the best photograph would win. Why were they doing all this? 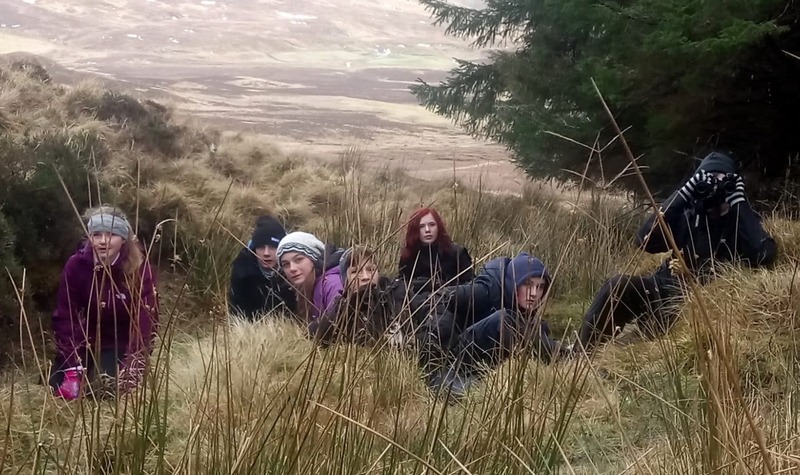 It was all part of a project called Hill to Grill organised by Coigach and Assynt Living Landscape with help from the Highland Rangers, Assynt Foundation, John Muir Trust, and teachers from the school. The project was designed to show the Ullapool pupils just where our food comes from and how it gets from the hill to the kitchen and onto our plates. And, as far as we know, this is the first time a school has ever done something like this. “It was great fun tracking the deer – looking for footprints and stuff. We learned about walking into the wind and moving quietly to reduce being sensed by deer” said Ralph. Wild venison has lower food miles. It is one of the healthiest forms of meat, high in protein, lower in fat and has higher levels of vitamins and minerals than beef. The free range nature of wild deer also means that the animals have a high quality of life.